"We are on high alert ever since the start of the ATO in Donbas." The murder of "DPR" warlord Arsen "Motorola" Pavlov will not increase the terrorist threat in the cities of Ukraine, the press secretary of the Security Service of Ukraine Olena Hitlyanska said in exclusive comment to LB.ua on Monday, 17 October.
" We have been on high alert ever since the beginning of ATO in the East. We have a resolution of the Cabinet as of 18.02 that sets the levels of threats. We work in compliance with that document. Degrees of terrorist threats are identified for each region (there is a map on the SBU website). We call on citizens to be vigilant on a constant basis," Hitlyanska said. "We cannot just sleep and then wake up to respond to an incident. If we consider [that the precautions are] insufficient, we will beef-up security measures. So far, we see no reasons to change the threat level set by the Cabinet." 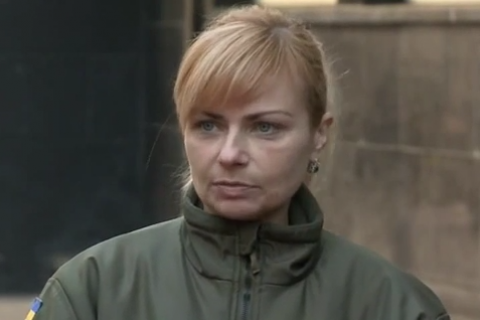 Hitlyanska also said that the SBU is not engaged in setting out versions of who killed Motorola. "Who kills terrorists is not a concern of ours. You'd better ask them," she said. Arsen Pavlov died in an explosion of a building elevator on October 16. Aleksandr Zakharchenko, a leader of the "Donetsk People's Republic", said the killing amounts to ‘a declaration of war' on behalf of President Petro Poroshenko and pledged retaliatory terrorist attacks.